Iron Man has saved people, fought villains all over the world and laid waste to the box office across six movies (not counting after-credits teasers). Now, Tony Stark is taking his Stark Expo to Hong Kong to show the city what the future of technology holds. Naturally, where Iron Man goes, trouble can’t be far behind. 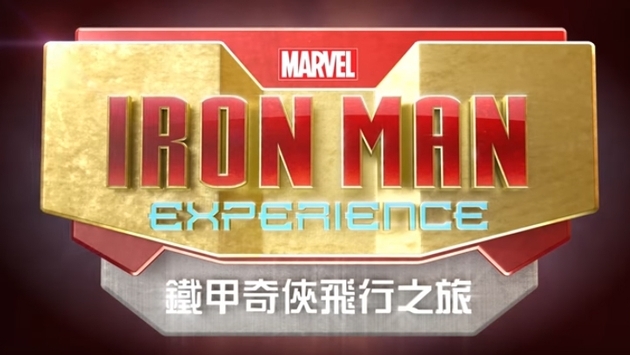 It’s the all new Iron Man Experience made specifically for Hong Kong Disneyland, and it will be the first ever Marvel attraction in a Disney park, which is a huge landmark in Disney’s rollout of Marvel content. The new Iron Man Experience ride will be the perfect mesh of Disney storytelling and the action that you’ve come to know from Marvel. Guests will arrive at the Stark Expo at Hong Kong Disneyland, and will see all the latest tech that will help propel everyone into the future. Once guests see all the new items in the Stark Expo, they will then get to visit the all new Stark Tower in Hong Kong. READ MORE: Which Theme Parks Have the Rights To Which Superheroes? The tower is set to have its grand opening and will feature the world’s biggest Arc Reactor, the source of Iron Man’s power, and a source of renewable clean energy that will help power the city. If you’ve seen the Avengers sequel, you know how even the best of ideas is sometimes the worst. Guests will get to Stark Tower from the Expo in the prototype Iron Wing. It’s essentially a huge Iron Man suit that can fit 45 people. I guess that makes it a 45XL? While guests will get to visit the Stark Expo, that Expo will be the queue area. It will be filled with tons of new gadgets and of course instructions on how to handle the ride experience that is waiting for them. There will be tons of nods to the movies and adventures that have come before. The coolest thing about this new experience is that guests will actually fly through the very real city of Hong Kong. Guests will get to see their city, and explore it like never before. Of course, they will also get to see it in the middle of a massive battle as well, but the city in the attraction is modeled as closely to the actual city of Hong Kong as possible. This is also not just your typical ride. The 3D attraction will take you on an adventure with Iron Man. Instead of the ride happening around you, you will be flying side by side with Iron Man and participating in some of the most heate action that Disney has ever created. READ MORE: Will Success of 'Civil War' Help Launch West Coast Marvel Park? There’s a good chance that you’ll even get to see a cameo from one of the world’s biggest stars ever, Stan Lee. The creator of Iron Man and several other comic book favorites has been in just about every single Marvel movie to date. He’s even put in cameos in another major Marvel Attraction, The Amazing Adventures of Spiderman at Universal Orlando. We can’t wait to see where he pops up. The Iron Man Experience marks the first full Disney ride based on a Marvel Property since Disney bought Marvel. It certainly won’t be the last. The next Marvel attraction will be the “Guardians of the Galaxy: Mission Breakout” at Disney’s California Adventure, opening in May of 2017.